As reported by RT.com, the Italian firm Hacking Team has teamed up with a subsidiary of Boeing to work on a drone-mounted device that can cause computer chaos simply via flyby. The drone will be able to infect smartphones and computers with spyware by latching onto a wifi signal. 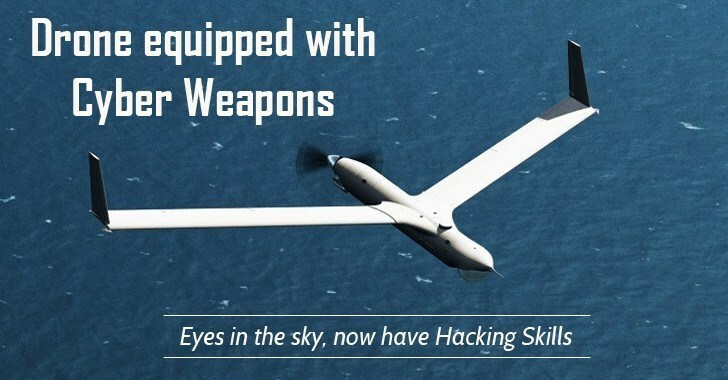 Hacking Team, a surveillance technology firm, was quoted from a series of emails released by Wikileaks in which the firm states that they seek to create a "remote traffic interception device", one that would be"ruggedized" and "transportable by drone." Creepier still, the project was commissioned by the American company Insitu, who have previously sent spy drones such as the ScanEagle into the skies. Nothing to see here, citizen. Continue your nourishment from social media feeds. "We see potential in integrating your Wi-Fi hacking capability into an airborne system and would be interested in starting a conversation with one of your engineers to go over, in more depth, the payload capabilities including the detailed size, weight, and power specs of your Galileo System. Additionally, if you have any more marketing material you are willing to share with us prior to meeting, please let us know." Further communications reveal plans for an airborne TNI, or tactical network injector, which could bomb a target's computer or smartphone with spyware by intercepting their wifi connection and unwittingly forcing the user to download the malicious malware. Maybe someday we can use this technology in better ways. Not yet, though. The first person they're going to hack is this reporter with the horrible grammar and capitalizations. 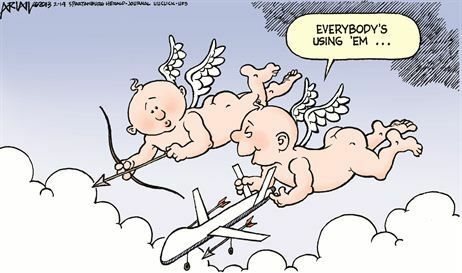 Spyware from the sky is evil, but even evil needs proper punctuation.